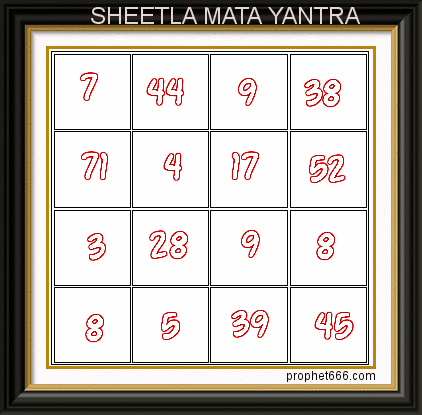 The Yantra has to be prepared on a white piece of paper [not lined] with the paste of red sandalwood. 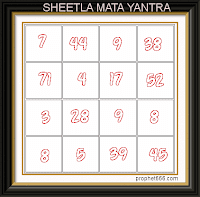 This done worship and energize it by offering incense and lighting a Diya [oil lamp]. Then insert it in a cloth locket and tie it around the neck of the suffering person as an amulet to give him relief.